The PV Cell Testing LS1000 Solar Simulator is a turnkey PV Cell testing light source. The single output of the LS1000 produces full spectrum sunlight (AM1.5) with a class “A” spectral output and +/- 5% uniformity. 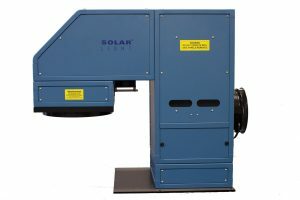 The LS1000-002 Solar Simulator comes with an option of a vertical or horizontal beam output. 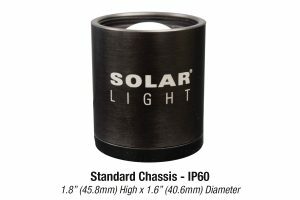 The spot size is typically 6 inches round with an 1 sun output intensity. However, Regular and Custom spot sizes are available on request. The LS1000 Solar Simulator accurately replicates full spectrum sunlight and meets the latest standards for Solar Simulators by ASTM. Many of the ASTM standards requiring the G151 and G155 standards can be accomplished with the LS1000. The LS1000 can be used to test solar cells according to ASTM standards E948-09, and G173-03e1. By using the control knob on the power supply, the intensity can be varied between 80 and 100% of maximum. The intensity can also be varied from 10% and 100% with the optional “Attenuation Kit”.